In the third project for this course, we will build a 16-led array PCB, using two layers and surface-mounted components. Using surface-mounted components does not change materially the process of designing the PCB. In fact, in the schematic editor you don’t even have to think about it. 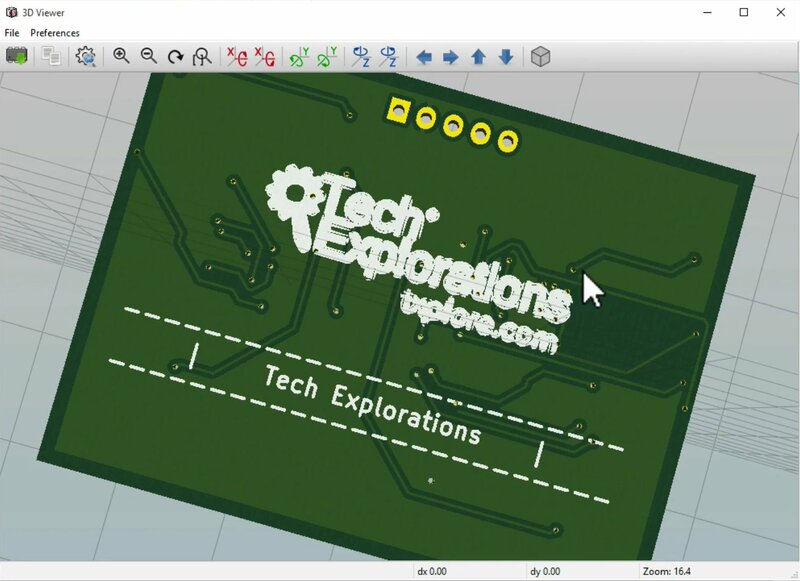 Any changes to the design process apply at the layout and wiring stage, in Pcbnew. 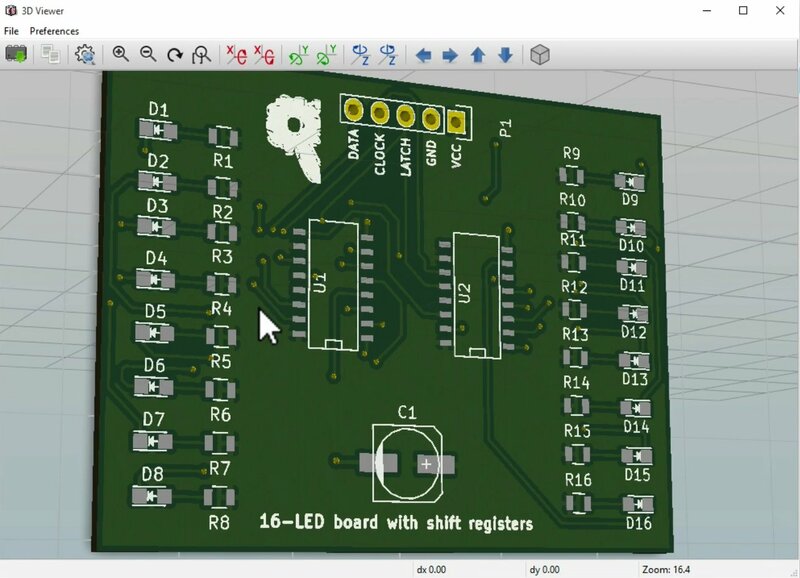 In Pcbnew you need to be mindful of the fact that the components are placed on pads that only exist on one layer, instead of pads that are connected on both sides of the PCB through a hole. In this project, apart from using surface mounted components, you will consolidate the features and techniques you learned about up to know. You will work with components, nets, labels, busses, power flags, the electrical rules check, netlist, footprints, track widths, copper fills, graphics, and Gerber files. The final PCB for the third project, front side. The final PCB for the third project, back side.